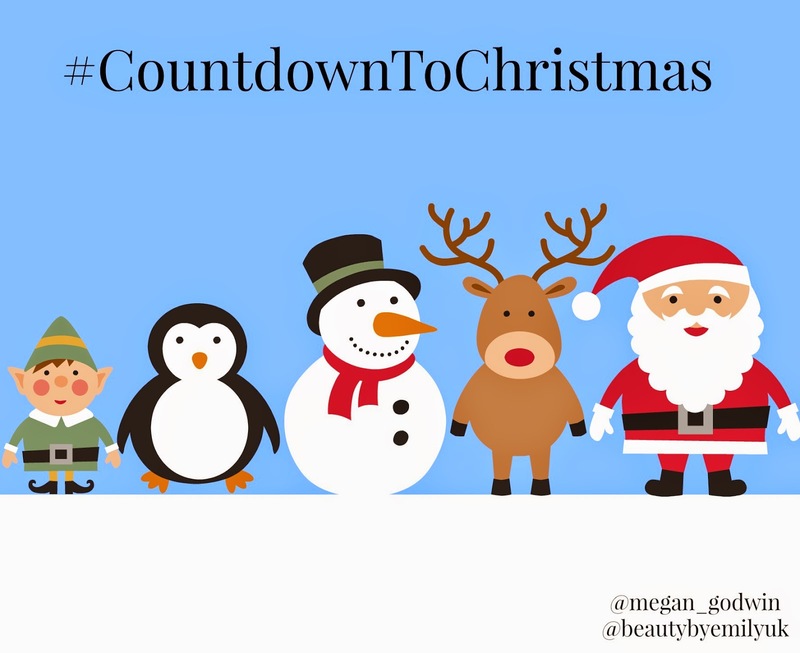 Beautiful You: #CountdownToChristmas Week 1 | The Christmas Tag! #CountdownToChristmas Week 1 | The Christmas Tag! I cannot believe that it is the 1st of December already but I am so excited to kick of my #CountdownToChristmas Series and to see everyones posts. For those who don't know what this is, me and my friend Emily (beautybyemily) decided to run a blog series that runs from the 1st of December up until Boxing Day. It involves posting two blog posts a week on Monday and Friday about set topics, these can range from fashion to lifestyle to beauty posts as we wanted to include a range of topics! Anyway, seen as it is the first post in the series we thought that we would kick it off with The Christmas Tag just to get everybody in the spirit of Christmas! There are 10 questions and I will try and answer them all in as much detail as possible. This one is really hard for me because I just think Christmas movies are the best but I think I can narrow it down to about 3. Firstly, my number one favourite has to be Elf I think, you cannot beat elf. Then if you want other Christmas films that are old but still funny I love Christmas with the Kranks and National Lampoon's Christmas Vacation, they are both hilarious once you get into them! This year I have gone a bit wild on my tree and I have a lot of colours, pink, blue, red, white and silver. However I love the combination of red, white and grey: Next have the best collection for Christmas decorations in at the moment and I want it all but sadly I can't afford it! We stay in our PJs (I have Christmas ones!) whilst we open our presents and have breakfast but then we all like to get dressed up in a Christmassy outfit for having lunch and the evening festivities! Ooo this is hard for me because I can't choose between my sister and my mum. I think I would choose my mum though because she is the best and she is always there for me so, but my sister does come in close second! When we were younger my mum used to buy us new PJs every year and then we would be able to open them on Christmas Eve so that we could wear them to bed. Now we are older we don't tend to do this any more as we 'can wait' but I don't agree! This year we bought a foam Ginger Bread House from Wilkinsons but I haven't actually ever tried to make a real one. They look so hard to make and I just don't think that I would have the patience to do it and I'm quite heavy handed so I think it would just fall over! I love seeing all the family that I might not see as much through out the year. I also love doing festive things like going to a garden centre and looking at their Christmas displays, putting up the Christmas Tree, decorating the rest of the house and making Christmas treats such as mince pies! I'm going to go with the clique one that all of my family stay well and happy for the next year and that everyone gets to spend their Christmas with people they love! Red Velvet Cake is my favourite Christmas scent, I can't be dealing with all these spices and cinnamon scents. I always tend to bake a red velvet cake near Christmas so it is a iconic scent for me! This has to be all the trimmings on the Christmas dinner, stuffing, pigs in blankets, Yorkshire puddings and so on. I do also love all the buffet food that you get around the Christmas period, we always have this on Christmas Day Night and then for a long time after!! I hope you liked getting an insight into my family's Christmas! Like I said a lot of other bloggers are joining in on this series so make sure you keep an eye out for other posts. I will see you all again on Wednesday for another post and then again on Friday for the next instalment of #CountdownToChristmas!